Easy to Learn Korean 1640 – Living together. 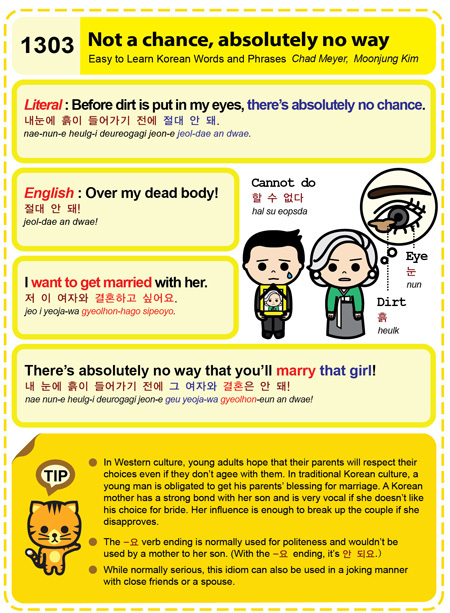 Easy to Learn Korean 1552 – Ideal spouse (part one). 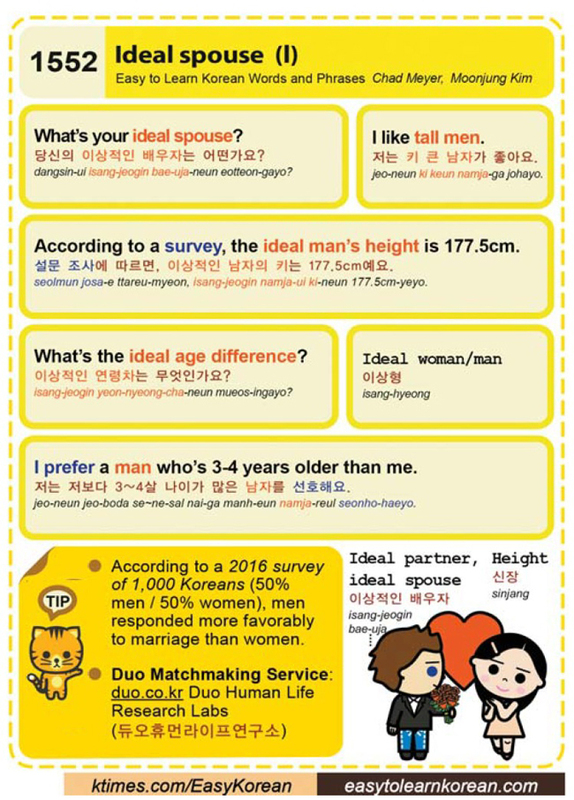 Posted in Series	| Tagged According to a survey, Duo Human Life Research Labs, Duo Matchmaking Service, duo.co.kr, heart, I like a tall man., I prefer a man who’s 3-4 years older than me., ideal partner, ideal spouse, Ideal woman / man, marriage, survey, the ideal man’s height is 177.5cm., What’s the ideal age difference?, What’s your ideal spouse?, woman, women, 당신의 이상적인 배우자에 어떤가요?, 듀오휴먼라이프연구소, 설문 조사에 따르면, 신장, 이상적인 남자의 키는 177.5cm예요., 이상적인 배우자, 이상적인 연령차는 무엇인가요?, 이상형, 저는 저보다 3~4살 나이가 많은 남자를 선호해요., 저는 키 큰 남자가 좋아요.